Product prices and availability are accurate as of 2019-04-24 12:17:43 EDT and are subject to change. Any price and availability information displayed on http://www.amazon.com/ at the time of purchase will apply to the purchase of this product. - Overall: 26 3/8" high. Base is 7" square. Shade is 4 1/2" across top x 15" across bottom x 10 1/2" on the slant x 7" high. - Takes two 60 watt bulbs (not included); twin on-off light pulls. 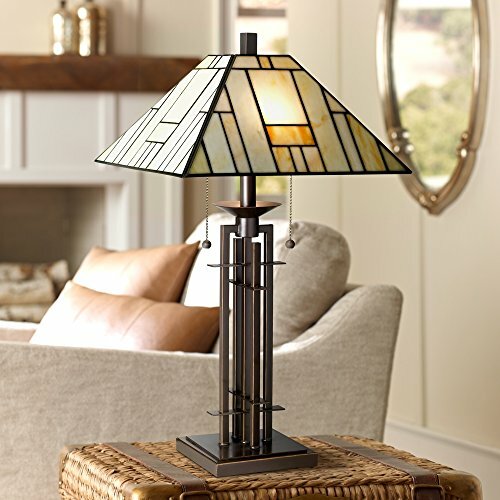 - Mission, Arts and Crafts style lighting by the Franklin Iron Works™ brand. 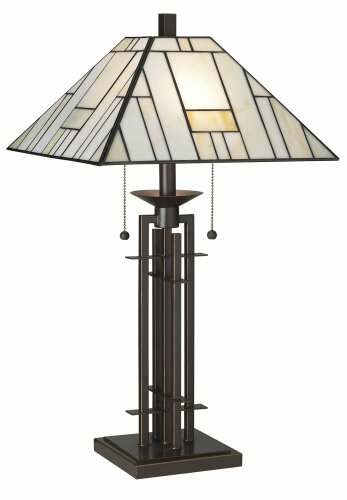 - Shade with over 60 pieces of hand-cut Tiffany-style stained glass, assembled using the copper foil technique. 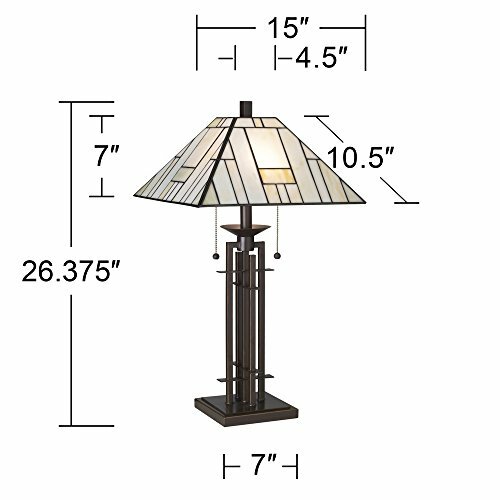 - Wrought iron bronze finish base with gold finish edging. 8-foot brown cord and plug. 26 3/8" high x 4 1/2" across top, 15" across bottom and 7" high shade. Takes two 60 watt bulbs (not included); twin on-off light pulls. 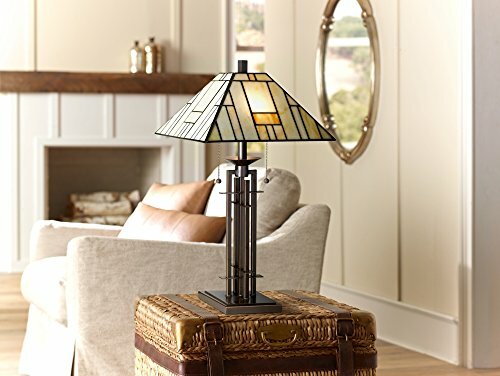 Mission, Arts and Crafts style lighting by the Franklin Iron Works™ brand. 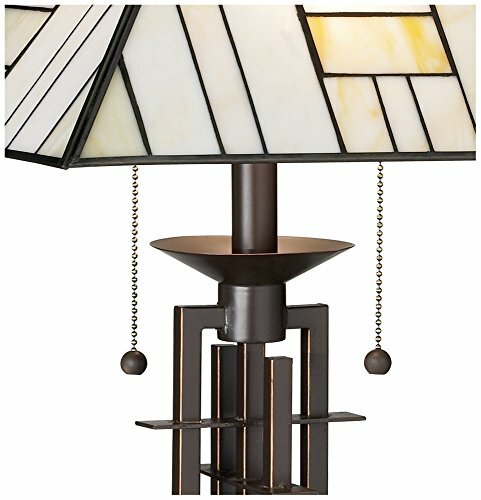 Shade with over 60 pieces of hand-cut Tiffany-style stained glass, assembled using the copper foil technique. Wrought iron bronze finish base with gold finish edging.